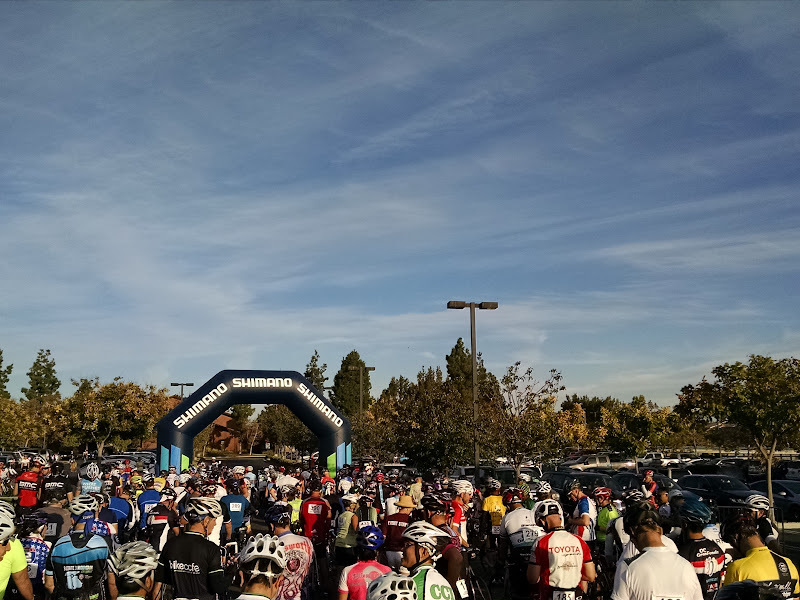 OC Gran Fondo is a great ride on popular cycling roads of South Orange County. The route is timed via Strava, including general classification, king/queen of the mountain (3 climbs), and sprint competition (2 segments). 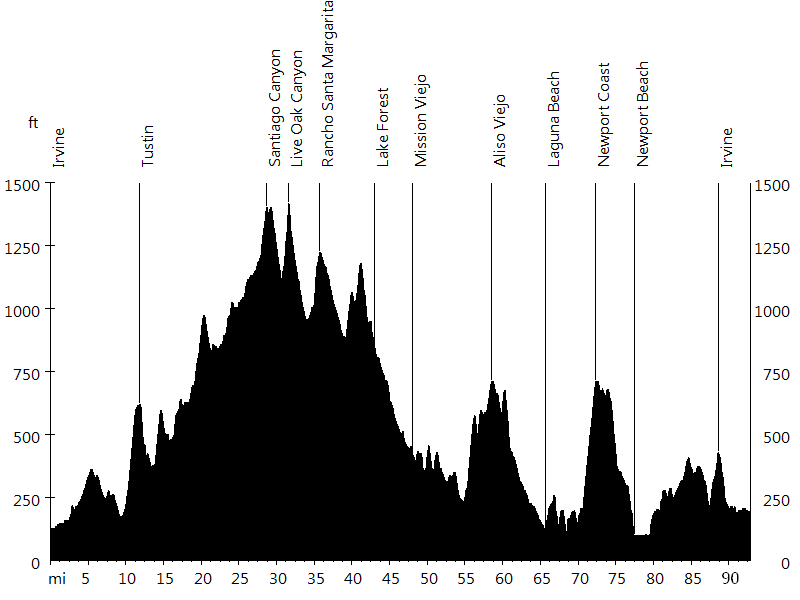 The ride starts in Irvine, hits the hills of North Tustin, and leads through Santiago Canyon, Live Oak Canyon, and Trabuco Canyon. Los Alisos Boulevard and Alicia Parkway lead to the hills of Aliso Viejo, after which the route drops into Laguna Canyon and Laguna Beach. 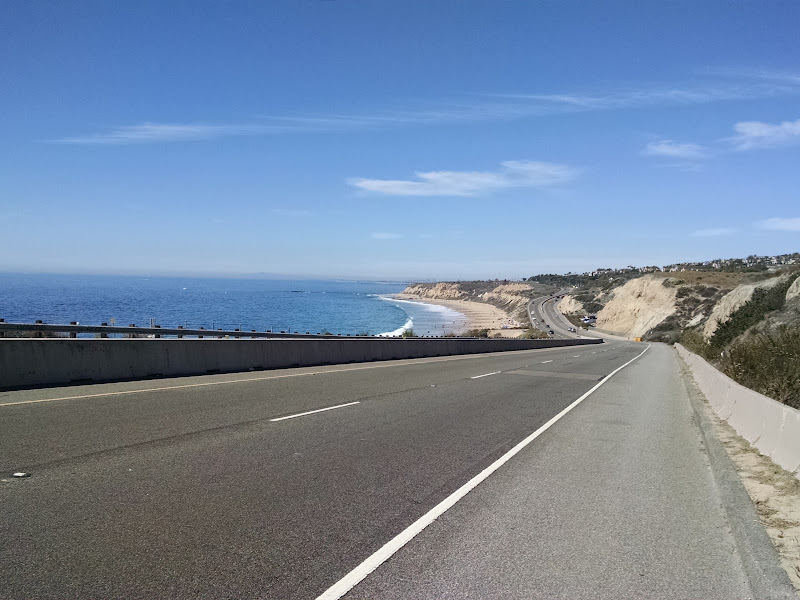 After a section on Pacific Coast Highway, the ride climbs Newport Coast, followed by a descent to Back Bay. 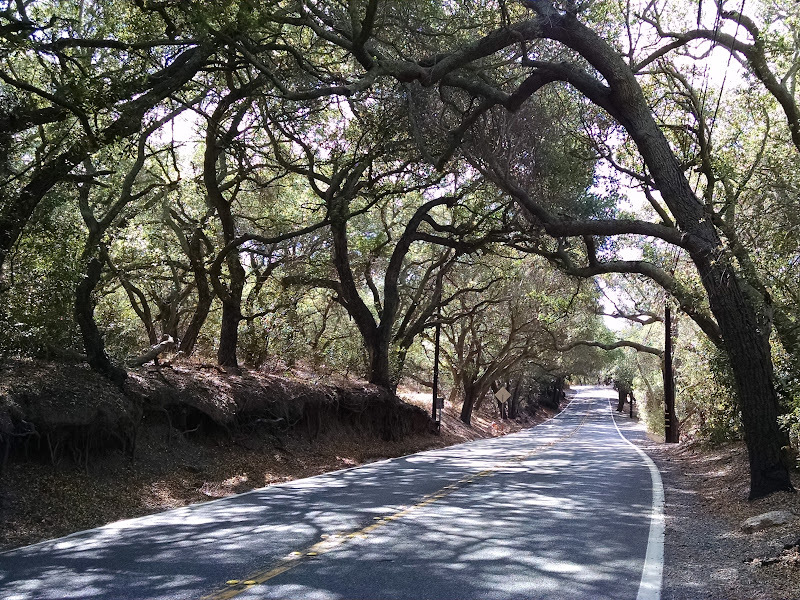 Bonita Canyon, Shady Canyon, Turtle Rock Drive, and Ridgeline Drive finally lead back into Irvine. The event passed by my house. 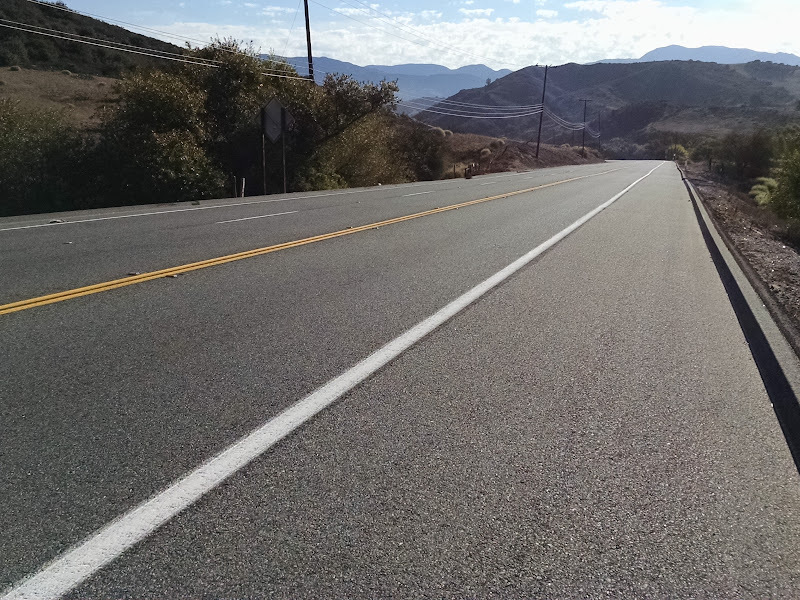 Even though I ride these roads frequently, the route included good roads I have never been on, such as Skyline Drive in Tustin. The day was hot, up to 106 degrees at Soka University, but the organizer did a great job and all stops had ice. The volunteers were awesome. It was good meeting Joe and Rachel-Ann of ThinkCure! representing The Life Ride.